Sweepstakes: 100% Pure Natural Avocado Oil 4 oz – Combo Pack With Applicator… | FreebieOrBust Freebies! Do you have a wish list of products available at top retailers online? We want to make your dreams come true, with our fantastic sweepstakes giveaways! We all receive limited opportunities in our life, and this could be your chance to take advantage of our platform and win! 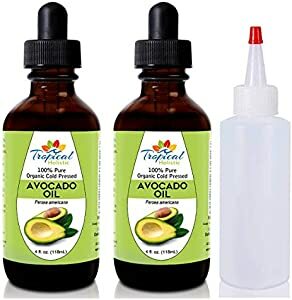 100% Pure Natural Avocado Oil 4 oz – Combo Pack With Applicator Bottle by Tropical Holistic – Best for Hair, Face, Skin, Food Grade – No Additives. Odds of winning: 1:800. They have 2 prizes up for grabs. Sweepstakes hosted by Amazon and Tropical Holistic. You don’t know if you don’t try – or if you don’t come back – so, remember to check in as often as possible! Remember – nothing happens without you taking action on your desires – So, what are you waiting for? Sign up for the fastest-growing sweepstakes community today!